Since this urn will have to sit on cabinet, I wanted it NOT to be an eyesore! It’s so NOT THAT. 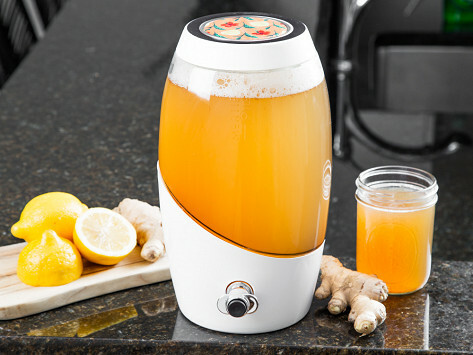 It is sleek and functional; makes me look like a pro with the kombucha brewing! I just bought one for my husband's birthday gift and we've fallen in love. I really like the fact that it has a spout so we'll be able to continuously brew our kombucha. Really great product! I purchased one for myself and one for my best friend. We both started making Kombucha together after attending a class at a local organic farm. I just had to make sure the entire container was glass before purchasing, and it is. 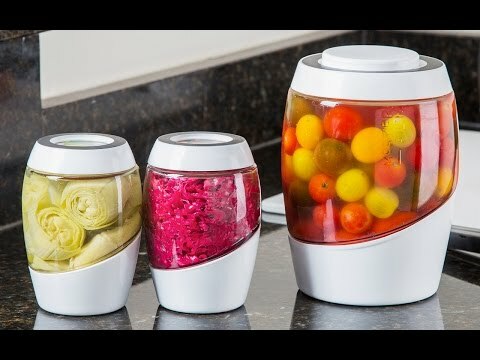 This jar makes it so much easier to continuously brew Kombucha because you can easily fill up your containers from the spout vs. ladling or pouring which can be messy. So glad I purchased this!!! I purchased the basic home brew kit and found I wanted to make bigger batches, so I came back for this jar. It's wonderful; easy to clean, and the tap at the bottom makes it so much easier to bottle my Kombucha; I was ladling the liquid out of the smaller jar. Highly recommend it. Gave it as a gift. Gave it to my daughter as a gift. She loves it. Now I wany my own. Looks great on counter top. Excellent Product and easy to use! Economical and sustainable. A daily kombucha habit can cost you up to $5 a day per person in addition to creating a massive amount of recycling. Once a week, I bottle a batch for a second fermentation (3 22oz growlers), and start a new batch in the Brewing Jar. Leftover scraps of fresh fruit make the perfect flavoring for the second fermentation. I am considering purchasing another jar in addition to the pickling jar. Happy Fermenting! Having never tasted kombucha, I was delighted in its effervescence. How to duplicate; researched; talked with friends; grew my own skoby in less than ideal conditions; decided to upgrade with The Grommet/Mortier Pilon. The results have been delicious as well as convenient/nutritious.